At home sometimes it can be challenging to find the right balance. I'm not talking school schedules or work or things like that, I'm talking about in your personal home design. Achieving that right combination of things, colors, textures, and placement can take work and time. It seems that once a new items enters a room the other pieces feel sort of "off" or that changing one element leads to inevitable other changes. And so you can understand how getting to that place where everything seems to coexist harmoniously may take more than one attempt. In my daughter Elin's room I've found that getting that balance just so, the right combination of things to be both practical and pretty has been a longer process than I'd expected from myself. I've painted her bed now three (!!) times and changed the bedding a few more than that. We've switched the rug twice and just recently I painted a space around her bed frame in a warm taupe color. Not every change has been the result of purchasing more stuff though, often times it's just been a matter of moving things from one room to another or taking from storage to try out in her room. I think though we've found an equation that really works now and I don't feel the need to alter anything more. 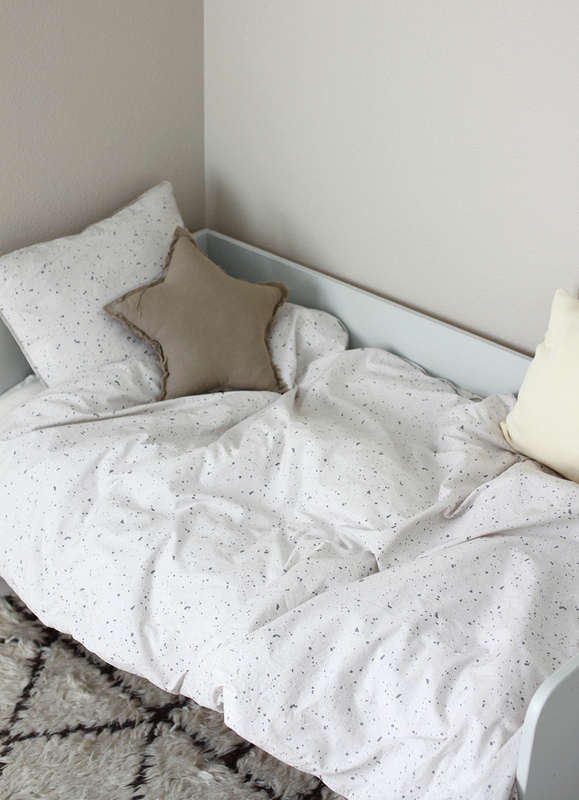 Recently I added this duvet cover and pillowcase from Ferm Living's Hush collection whose pattern is called Milky Way. 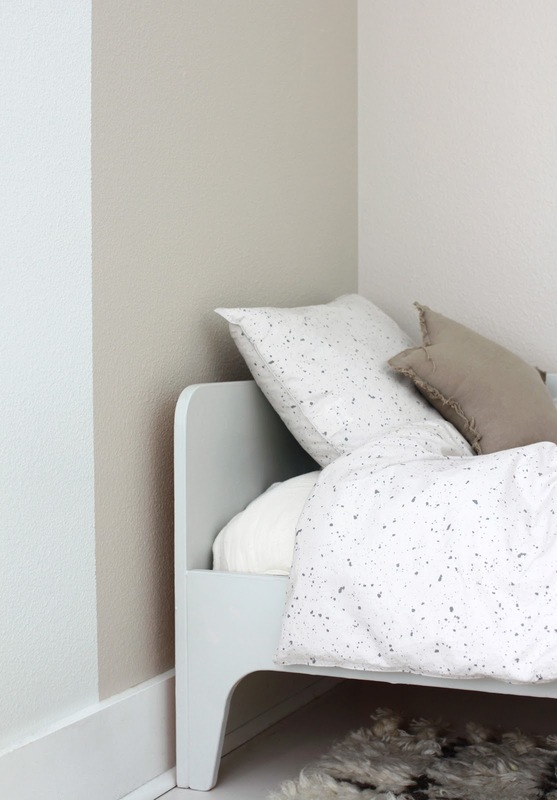 It looks like something between Terrazzo and paint splatters but the pattern is small enough and subtle enough that it works with her rug, grey bed and the new taupe wall. 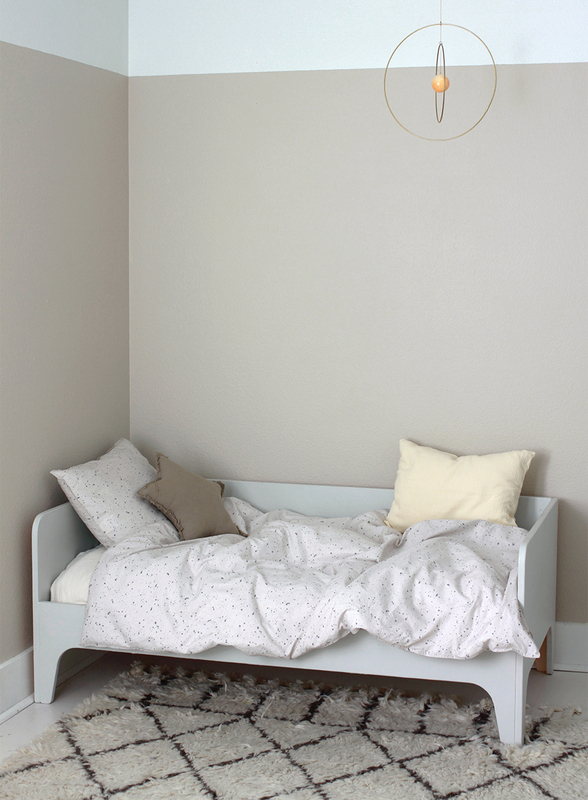 My goal for her room has always been to create something not obviously girly but soft, subtle and light.